Here are some of the many kivas at Chetro Ketl, which is located at Chaco Canyon, New Mexico. A kiva is a room used by Puebloans for religious rituals and meetings. They are most often underground and circular in shape, but we did see a few that were square. 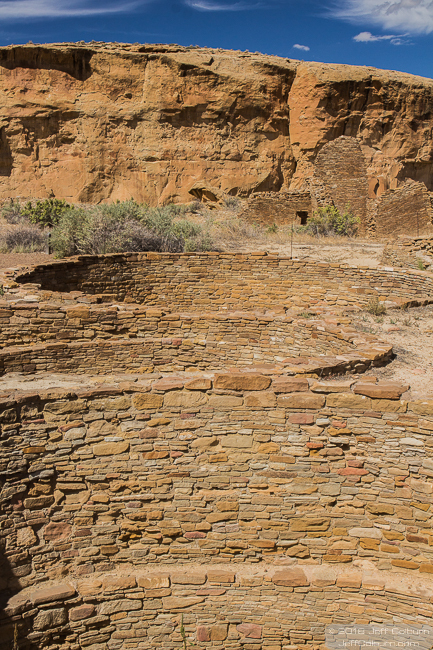 Some pueblos have only one kiva, while others may have over half a dozen. Chetro Ketl is a great area to walk around, and it’s big, so give yourself time to see it all.